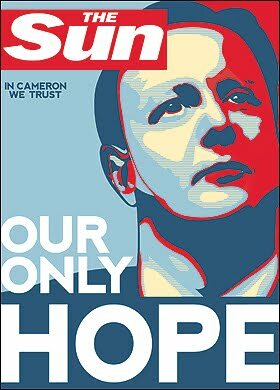 Front cover of THE SUN newspaper today. 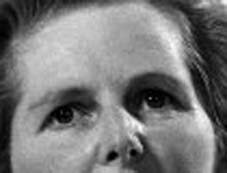 And one M Thatcher... I was struck by the similarity. Creepy. Almost as if they deliberately Thatcherized him. Have you voted yet, today? That combination should be all the encouragment you need. Stephen, I think you may have a bright future as a conspiracy theorist! Yep I did. Oxford East, which could go Lab or Lib Dem. I would vote for Harris, though.